GeneaWebinars: Thursday, March 21st: UGA Virtual Chapter's "Conducting a Family Analysis before Beginning Research"
Thursday, March 21st: UGA Virtual Chapter's "Conducting a Family Analysis before Beginning Research"
This webinar is FREE and OPEN to the public! Thursday, March 21st, 7-8pm MT. Analyzing families before researching can give clues to things about the family that should be investigated further. It could possibly reveal incorrect information and ultimately save researcher time. There is nothing worse than spending hours researching a family only later to find out that the information provided was incorrect. A great genealogical researcher will analyze a complete family before beginning research. In this webinar we will learn about the key questions that should be asked when analyzing a family, we will practice analyzing families from different places, and create a research plan from the analysis conducted. Kelly Summers, Accredited Genealogist® has taught Family History at Brigham Young University for 13 years. She has four premier genealogical credentials through the International Commission for the Accreditation of Professional Genealogist (ICAPGen) demonstrating genealogical research expertise in U.S. Midwestern & U.S. Pacific, Mexico and Spain. 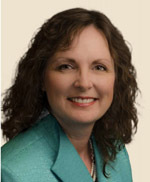 Kelly currently serves as the President for the Utah Genealogical Association (UGA). She has been involved in genealogical research and teaching for more than twenty-five years. Kelly researches in the US, Scandinavia, Latin America, Southwestern European areas, and China. Kelly's research interests lie in kinship research in primary source records and rural community reconstruction. You can find out more about her at ICAPGen and Utah Genealogical Association.